For more than three decades the work of Capitalize Albany Corporation has elevated the City of Albany and the Region. It’s executing action-oriented strategies and catalyzing transformation in Albany’s neighborhoods, downtown and commercial districts. 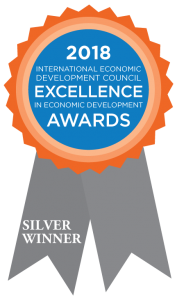 During its 2018 annual conference in Atlanta, GA, the International Economic Development Council (IEDC) recognized the success of Albany’s downtown residential development strategy, presenting the Silver Excellence in Economic Development award. In 2018 during its 64th Annual Conference and Tradeshow in San Antonio, the International Downtown Association recognized Capitalize Albany Corporation and the Downtown Albany Residential Development Infinitive, awarding the strategic plan a certificate of merit. 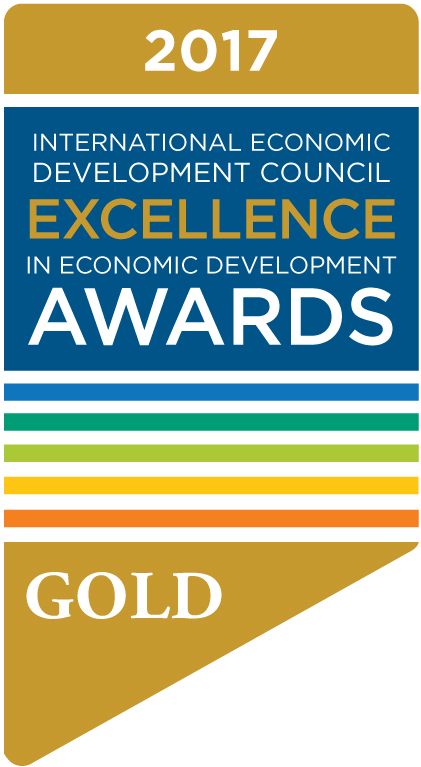 During its 2016 annual conference in Cleveland, OH on September 27, the International Economic Development Council (IEDC) recognized Capitalize Albany Corporation and the Park South Urban Renewal Plan’s implementation, awarding the Silver Excellence in Economic Development Award. $600 million of investment has taken shape and the Park South Urban Renewal Plan has transformed the neighborhood. Read more. The revitalization plan was managed by the City, Capitalize Albany Corporation and its economic development partners. Execution of the Plan has been aggressive and true to vision, with significant public/private partnerships put into place. Projects have included multifamily affordable housing, infill residential rehab and construction, market rate multifamily construction, and commercial office and retail products. Key catalytic investments include the $12 million historic rehabilitation of 18 row-homes along Albany’s Knox Street, 120,000 square feet of new office and retail space along New Scotland Avenue, and a $110 million Albany Medical Center project currently under way in partnership with Tri-City Rentals. During its 62nd Annual Conference and Tradeshow in Atlanta on Sept. 8, 2016 the International Downtown Association recognized Capitalize Albany Corporation and the Impact Downtown Albany strategic plan, awarding the Downtown Achievement Award of Excellence. View the submitted presentation here. 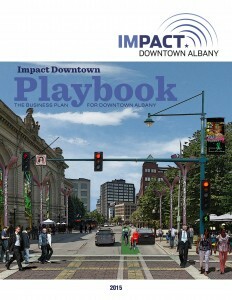 Impact Downtown Albany is the game-changing strategic plan currently advancing downtown Albany’s untapped power to drive community and economic growth in Albany and the Capital Region. Read more. This market-driven, action-oriented strategic plan recognizes and positions downtown Albany, its adjacent warehouse district and riverfront as the ideal 21st Century walkable urban center — a strong economic hub, a vibrant neighborhood and a modern, dynamic destination. The Plan embraces public and private collaboration as a proven model for unlocking the potential of great places. More than three dozen key stakeholders — including private corporations, non-profit entities, academic institutions and public entities — came together to champion the revitalization of downtown Albany. Its results-driven implementation is currently acting as a guide for local redevelopment and reinvestment in a manner that meets the needs of residents, businesses and other stakeholders. Key partners are beginning to grow and diversify downtown’s economy through a focus on residential conversion of obsolete office space. Downtown Albany has become the City of Albany’s newest neighborhood with more than 500 new residential units that have come online in recent years and more than 1,000 new units are under construction and in the pipeline. To date, more than 500,000 sq. ft. of obsolete commercial office space has been converted. Downtown’s residential capacity can absorb 100-200 additional units annually over the next ten years, and the district is on track to meet that market potential. Owners are reporting an occupancy rate of 97 percent. The new population is fueling downtown’s retail market growth. Tactical Impact Downtown Albany initiatives such as Pop-Place programming (offering pop-up retail space opportunities for local businesses), engaging in collaborative partnerships to increase business and retail recruitment, and a new downtown retail grant program is advancing downtown Albany’s retail market potential — to date the grant program has leveraged more than $2 million in new investment activating more than 20,000 sq. ft. of retail space. 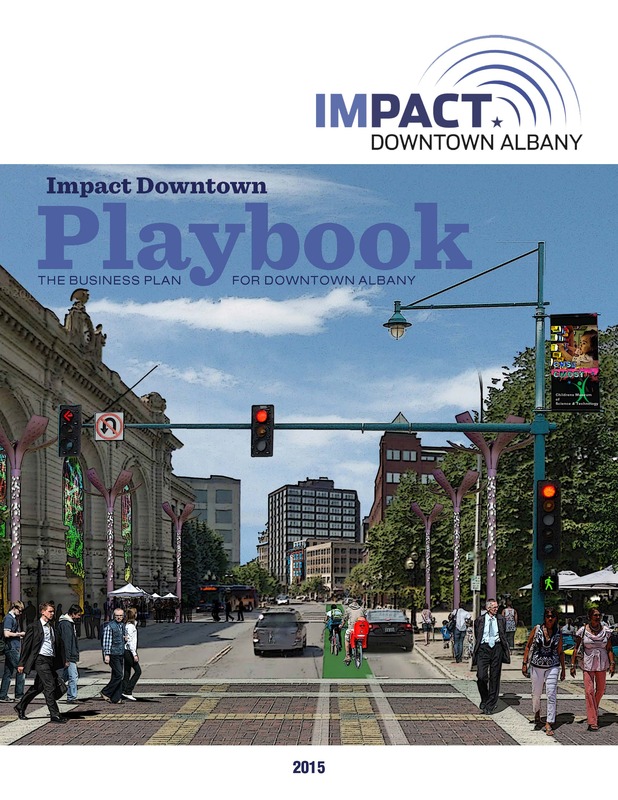 Guided by the Impact Downtown Albany strategic plan’s developed vision and supporting research, since implementation began in 2014 more than $246 million worth of new investment has taken shape in downtown and its adjacent warehouse district. Currently more than $87 million is under construction and more than $220 million worth of additional investment is in the pipeline or early stages of the development process. 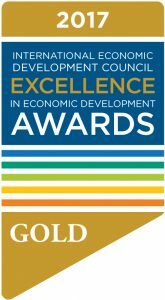 During its September, 2017 annual conference in Toronto, Ontario, Canada, the International Economic Development Council (IEDC) recognized Albany’s revitalization of Wellington Row, presenting its Gold Excellence in Economic Development award. For more than 30 years, prime property in the state’s capital city sat abandoned. The $68 million renewal of Wellington Row saved beautiful historic architecture, brought a global luxury brand, and signaled the rebirth of Albany. Read more. In total Wellington Row’s revitalization involved the adaptive reuse of six vacant buildings, the construction of a 300 space parking garage and a climate controlled pedestrian walkway connecting visitors to Albany’s new convention center and adjoining 15,000+ seat Times Union Center arena and other attractions. Made possible through public-private partnerships, Wellington Row revitalization’s most vital investments were made by Columbia Development with support from New York State. The project received $5 million in NYS Historic Tax Credits, $2.5 million was awarded as part of Empire State Development Corporation’s (ESD) Restore New York Communities Initiative, ESD designated $4 million through the Upstate Regional Blueprint Fund—and the effort received a $950,000 ESD grant as part of Governor Andrew Cuomo’s Regional Economic Development Councils initiative. Not directly awarded as part of the project, but complementary, 2.5 million was awarded to support nearby streetscape improvements as part of the NYS Department of Transportation’s Multi-Modal program. The City of Albany’s economic development arm Capitalize Albany Corporation assisted throughout the development process, identifying resources, coordinating with local and State agencies involved including the Albany Convention Center Authority. The redevelopment also received assistance from the City of Albany’s Industrial Development Agency. Our publications support and enhance our programs, connect stakeholders and those looking to invest the right resources, amplifying our abilities to create, retain, and attract business in the City of Albany.